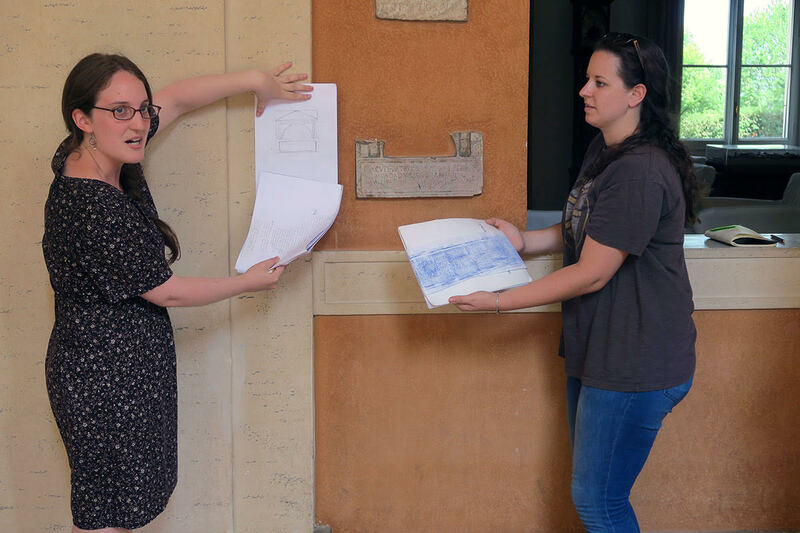 The Summer Program in Roman Epigraphy at the American Academy in Rome is an intensive ten-day course designed to introduce advanced graduate students and early career scholars to the study of Latin epigraphy, particularly the reading, interpretation, and editing of Latin and Greek inscriptions from the city of Rome. Participants will learn how to read and classify the main types of Roman inscriptions (on stone, metal, and clay) and how to edit Greek and Latin inscriptions, both in print and according to the EpiDoc conventions for digital editing of epigraphic texts. Instruction will include hands-on practice in reading and recording inscriptions in the American Academy in Rome; epigraphic walks in Trastevere and the center city; visits to major museum collections (notably those of the Museo Nazionale Romano and the Capitoline Museums); and field trips to sites on the Gianiculum and Vatican with Roman epitaphs in situ and to Ostia and the imperial cemetery at Isola Sacra. By the end of the course, participants will have learned how to edit unpublished inscriptions and will be able to read and understand basic types of Latin inscription on stone. Applications are invited from early career scholars and Ph.D. students in Classics, Ancient History, Classical Archaeology, Art History, Museum Studies and related disciplines. Please note that the course can be physically demanding, with long walks in (sometimes) intense heat. Students are expected to prepare accordingly. The course will be conducted in English. A complete application consists of a cover letter explaining why the program is of interest and indicating any previous study of Greek or Latin epigraphy, a curriculum vitae, and two letters of recommendation. Applications and all supporting materials, including recommendations, should be sent by email. The letters of recommendation must be sent directly by the individual referees.